A hundred years ago, city planners and engineers tried to improve a place – making the lands more orderly and useful for new residents – by straightening a meandering river. It was an incredible engineering feat for its time. The river was dredged and its channel straightened, and 52 miles of levees were built along the banks. The intention was to confine the river in a narrow channel that could quickly flush unwanted sediment out into Puget Sound. But today, planners, engineers, and residents all wrestle with the unintended consequences of these actions. Flooding risk has increased and salmon and other wildlife populations have been devastated. The levee system – once a source of community pride – was not designed to withstand today’s higher water flows and needs constant and expensive maintenance. It has become a daunting task to manage the major river, and ensure that water coming off the flanks of Mt. Rainier safely passes through the half a million people now living in the watershed. And at the same time to balance the complex, and at times competing, values of local communities. The communities living along the river today value their wild salmon runs, they want to see a thriving agricultural community, and they value the economic boost that comes with new developments. -Russ Ladley, Puyallup tribe of Indians, On first time meeting with local farmers in the Puyallup Valley. 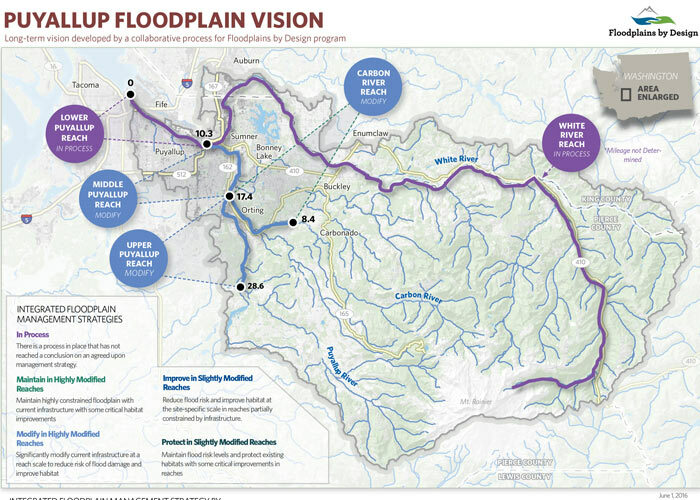 With $10M in funding from Floodplains by Design, a 10 year vision for the Puyallup watershed began to take shape. And now that vision is being put into action. 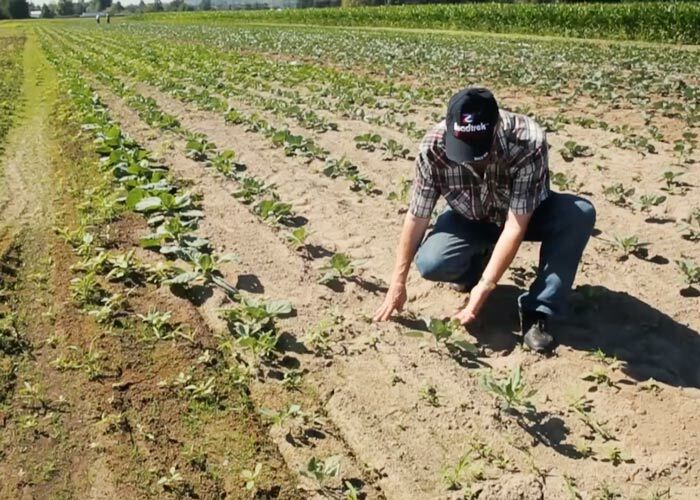 Farmland easements are safeguarding agricultural lands for the future, acquisitions and relocations are making residents more safe, a restoration project is improving drainage and fish habitat, and a drainage inventory is in progress. The change is nothing short of transformational. Now, a diverse and collaborative group of partners -people that share stewardship of the floodplain – co-own the responsibility for building a better watershed. 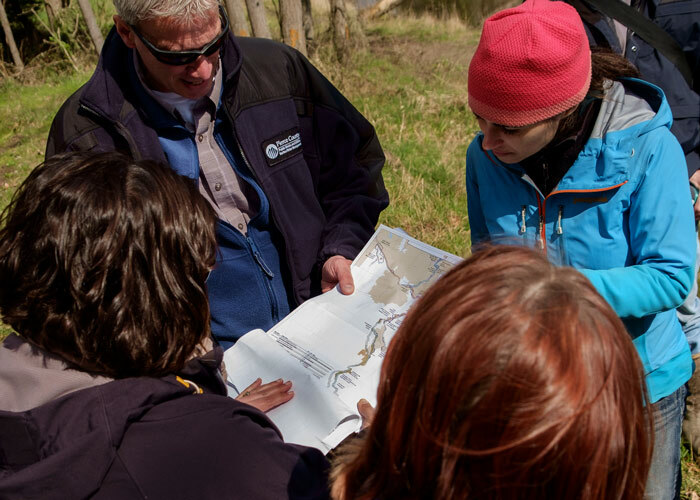 Floodplains by Design supported local efforts as they moved from piecemeal efforts with limited potential to a holistic vision for the watershed.